Movguru is a premier online platform to find a mover, learn about moving and begin your journey to completing a smarter move. At Movguru, we are the bridge between the customers with moving requirements and their suitable moving companies. Our prime focus lies in making the entire process hassle-free. From local move to international move, we cater to all kinds of moving requirements. Once you fill our enquiry form we will find right moving partners for you who matches your requirements. The movers will receive your quote request and will contact you for conducting a survey followed by the quote. Due to the uniqueness of every household move, cost/price estimates are different for every move. The best way to get an accurate quote is to get a survey done by a moving company. Therefore, we have created a quick and easy way for you to receive quotes that are personalized to your move. Just fill in our enquiry form and 3-4 moving companies will contact you. Depending on the size of the move it is often one of the first steps to pick out the right moving company. We would advise you to always compare moving companies, since every mover will charge a different fee. Through filling in our enquiry form you can receive quotes from different companies. This will enable you to compare the movers based on their prices and services they offer. Simply filling in our form could provide you with the contact details of certified and reliable moving companies that could do your move. You will receive the first contact within one working day. How can large scale valuable items be transferred with special care? Make sure you disclose all your valuable items to your moving company. The moving company will always do their best to take care about them while handling. They will advise you on the best way to pack the items or they can do the packing in their way and ensure that they carry equipment required to move them on the move day. How do I leave feedback/review for the moving company? We encourage customers to provide reviews for the moving companies whose services have been taken, so that others can also make informed decisions. Once your job is completed, you will be sent a review link so that you can leave your responses on our platform. Can I get boxes from Movguru? We don’t provide boxes for self- packing. 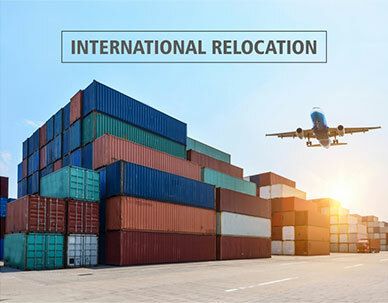 But we can help you connecting with the movers who can provide these services. Whom do I contact for any questions? Ordering a mover online doesn't mean you're on your own. The Movguru Team is real humans behind the scene who make the wheels turn. You can connect with the Movguru team via Live Chat, phone, Whatsapp or Email. We will be more than happy to assist you. How can I get advice on my move? Just check out our Moving Guide and Blog for tips and articles about moving in general. How do I know that movers I choose are trustworthy? We make sure the companies meet with the legislative requirements laid down by every locality/state/province in which they operate. We check their licenses, insurance, and registrations. All the companies associated with us are certified. What if I’m unhappy with my move? Our first recommendation is to contact the moving company directly to discuss and resolve your queries. You can always let us know why your experience was unsatisfactory and we will take it up with our partner moving company. Are the movers you recommend reliable companies? Yes. We screen all of our partners heavily and follow up with every customer to make sure their move went well. We believe that track record is the only true measure of a moving company. You can check licensing, reviews, and paperwork to death and still get stuck with a bad mover. We track performance of every company we refer. If we start getting complaints about a company, we simply drop them from our network.